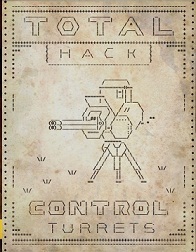 Total Hack is one of the 17 comic and magazine publications available in Fallout 4. It is a wonderful addition to your hacking skills and will give you access to more options. This means that you can bridge at corresponding terminals robots, spotlights and guns and manipulate. Overall, you can find 3 issues of the magazine in the wasteland. Each of these magazines will unlock an electronically controlled device that you can use. In our guide we show you the locations of all these three magazines. Go to the Sanctuary east of your settlement then hit the Wildwood Cemetery south of the crashed plane site. Go to the big tree in the center of the Cemetery, there you will also encounter many Feral ghouls, under the tree you will find the magazine. This issue will give you the sources code to Control Turrets. Go to the Sanctuary in the northeast. There you will find the Wattz Household Electronics. It is located centrally above the Kendall hospital and Monsignor Plaza, and northeast of the Cambridge police station. Open the locked door in the basement with the terminal. Behind a desk you will find the second issue of Total Hack. This issue will give you sources code to Control Robots. Go to the Shamrock Taphouse southeast of Goodneighbor. Go inside and then turn left, on the right side you will see a staircase. Go up the stairs and turn right. Run past the billiard table and go through the door on the left. Go down the stairs and find a space in which a statue stands on the table with the issue in hand. This issue will give you sources code to Control Spotlights. If you have found all three Total Hacks and unlock one or all three devices, you can also use them for your settlements. Build you a defense network that can control using terminal remotely in order to provide more security in your cities.